What makes our Thanksgiving turkey taste so good? If it were not for a patented poultry frying apparatus, we might never know how it should taste in the first place. So, let us give thanks to U.S. Patent No. 5,896,810 and many other inventions that keep our wishbones on the table and pajama bottoms loose. In light of the day, here are some fun Thanksgiving related Intellectual Property facts. Anyone who has tasted a delicious fried turkey can give thanks to U.S. Patent No. 5,896,810, the poultry frying apparatus. 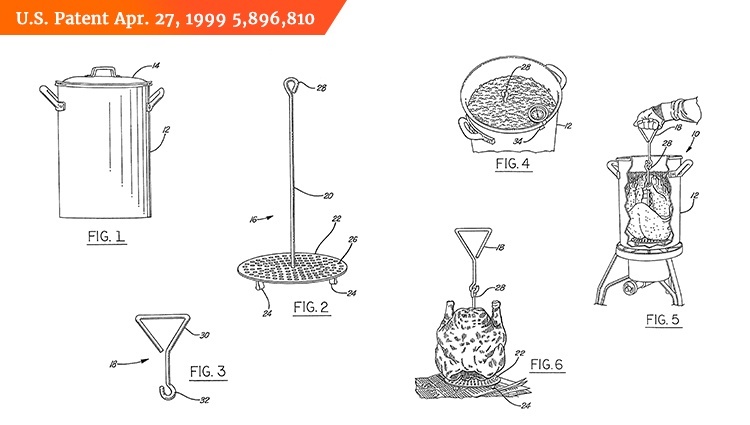 The frying poultry aparatus has a central rod attached to a perforated plate that is used to support a turkey as it is lowered into a large container of hot oil (source: https://www.google.com/patents/US5896810). While we wait to enjoy our fried turkey, many will watch the 93rd Macy's Thanksgiving Day Parade, which became protected by a federal trademark registration (U.S. Reg. No. 2,206,890) in 1998. We will do this while wearing our Thanksgiving pants - a term that became popular from the character Joey, in Friends, back in 2001. However, the "Thanksgiving Pant" (protected for pajama bottoms) only became a registered trademark in 2014, U.S. Reg. No. 4,905,568. Of course, what is Intellectual Property law without a little dispute. In 2010, there was Lucky Break Wishbone Corp. v. Sears, Roebuck and Co. This lawsuit was for copyright infringement of plastic wishbones. The court found that the plastic replicas were copyrightable due to the graphite electrode design. The damages were set at $1.7 million - that's a lot of turkey! 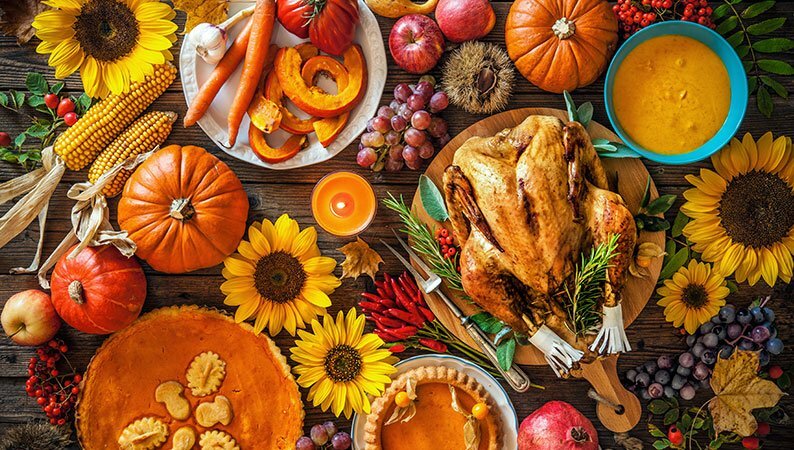 Happy Thanksgiving to all our customers, readers and colleagues! As part of our 55th anniversary celebration, we are giving thanks to our customers and to all who use IP services, with a special offer. U.S. Marketing Manager for Dennemeyer based in Chicago. With over thirteen years in content marketing, she happily helms the webinars and events for our North American intellectual property community. When not knee-deep in trademark and patent issues, you can find her traveling the world.